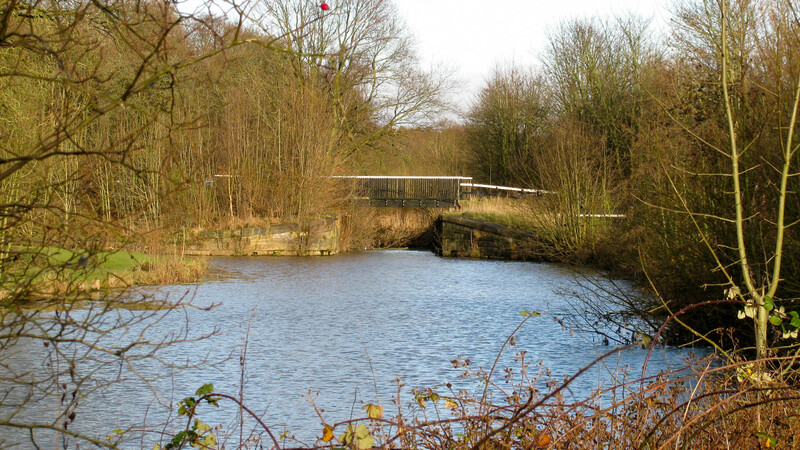 The walls and basic structure of Bewsey Lock are still there, ready for restoration. Like all the locks on the St Helens Canal, this is a broad lock and it’s the first of eleven locks which will raise boats to reach the centre of St Helens. A swing footbridge crosses the lock.